Ahead of the general election, Green party member Pearl Ahrens reflects on what liberal voters should have in their minds when they head to the polling booths on Thursday in an impassioned plea against tactical voting. Much of the rhetoric from Labour, Liberal Democrats and Conservatives has been based around the concept of acting ‘pragmatically’. The line is that there is no other option; austerity is the only way forward. We’re doing this because we have to. During the leaders’ debates on ITV Miliband, Clegg and Cameron all referred to “difficult” or “necessary” cuts. Some candidates local to Brighton, my constituency, use this kind of language too: Peter Kyle, standing for Labour in Hove and Portslade, likes to boast about how he’s pragmatic above all else. “I don’t think I have an ideological bone in my body,” he claimed in January. He wants to advocate whatever works best, whether that’s private, public, or something in between. The problem is that ‘whatever works best’ doesn’t make sense; best is different depending on where you are on the political spectrum. None of the parties when in government have been truly pragmatic, because they all have principles, and ideology which is centrist to a high degree. Cuts are only necessary because centrism at the moment says it’s important to reduce the deficit. Labour’s policy of PFI schemes is not the best route to a new library or hospital neither in terms of economic efficiency nor in terms of sustainability. Nevertheless, the government pursued the policy relentlessly from 1997 – 2010. The Tories’ commitment to private prisons and hospitals is neither the best by HM Inspectorate of Prisons’ standards, nor the Care Quality Commission’s. Oakwood and Thameside prisons received bad reviews in 2013 and patients were removed from Vista Healthcare hospital in Hampshire in 2015. The politician probably closest to actual pragmatism, locally, is Graham Cox, Tory candidate for Hove and Portslade. This jolly ex-policeman says he, “unlike Labour, judge[s] a policy on its outcome rather than its intention.” Presumably his views on law and order have placed him in the Tory party, but it’s a struggle to place him anywhere on the political spectrum since he appears to be in favour of everything: the Coalition, immigration, Labour’s 1997 landslide, democracy, Orange Book liberals, Green Party ideologues, is sympathetic to John Major and interested in Douglas Carswell. If this is real pragmatism it sets him well apart from anyone in the centre. Therefore, pragmatism on the part of the politicians is a euphemism for centrism, and its connotations of ‘sensible’ and ‘common sense’, are designed to put the centre at odds with the ideological, pie-in-the-sky left wing. Taking that into account, it makes little sense to vote for a pragmatic party as a left-wing voter. So those parties try and overcome the gap on the political spectrum between their leadership and their voters by advocating tactical voting. In many seats, would-be Green votes are taken by Labour, or would-be Labour votes are taken by the Liberal Democrats, and in this way tactical voting acts as a sop to centrism. This tactical voting is often intended to prevent a Conservative government, but seeing as Liberal Democrats have propped up a Conservative government for the last 5 years, maybe that plan doesn’t work very well. Elsewhere, a vote for the Liberal Democrats gives it a greater vote share, but the numbers don’t show whether you actually support the aims of any party or whether you’re just voting tactically. Thus you give false credibility to Liberal Democrats between elections as a major force in British politics. Those numbers would be put to better use forming part of the Green Party’s vote share, to ensure that it, with more members than the Liberal Democrats, doesn’t have to keep fighting for a place on every TV debate. Even if that were not the case, it’s still quite short-sighted to vote tactically because it doesn’t take into account how parties grow and change. All parties start small: even Labour took 20 years from its conception to its first minority government, and 40 to its first majority. If the Liberals had encouraged tactical voting 100 years ago to keep the Tories out, Labour’s progression could have been much slower. But even leaving that argument aside, it’s unsustainable to try and shape First Past the Post (FPTP) to work to your advantage, because it’s not going to work. Instead of encouraging voters to second-guess the results of the election and vote accordingly, parties could make serious proposals about reforming the electoral system to anything else with a higher degree of proportionality. A system which makes voters feel they must utilise their vote to determine the government – when really they have no control over that decision – is obviously not serving its purpose. For every word spent advocating tactical voting, Labour could be talking about reforming the upper chamber to use an additional member system, or introducing a single transferable vote system (STV) without a referendum, or at least anything more sustainable than FPTP. The votes of vast swathes of the left are wasted trying to outsmart a broken electoral system and only end up retaining the status quo. However, you may be blessed with a left-wing Labour candidate in your constituency and hope that by voting for them you will achieve some advancement of your left-wing goals. 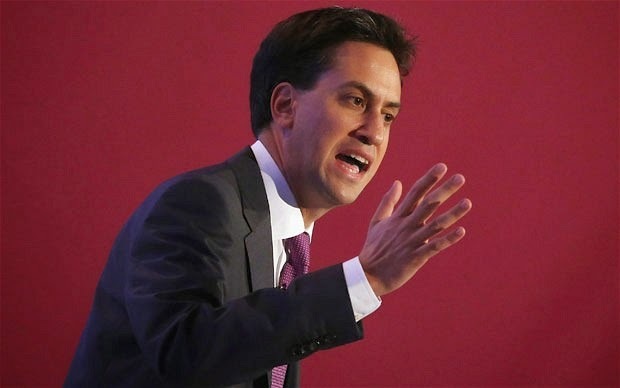 Other facets of the party are often pointed to as evidence of the possibility of a leftward trajectory – the existence of the Labour Representation Committee (modern-day left faction) and since Ed Miliband’s election, the party has superficially moved further left. 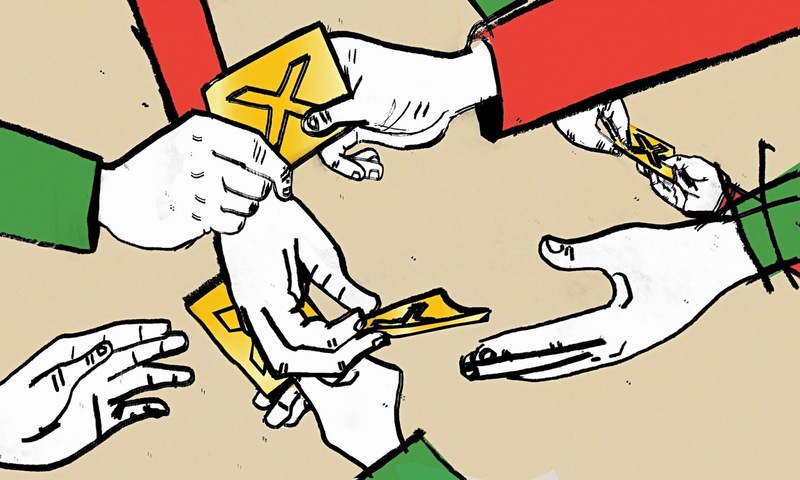 Perhaps, though, no matter how many left-wing members there are, there aren’t the structures of members’ control in place to influence party direction – nor is there the political will to create them. The power structures which do exist are dominated by the centre(-right) of the party: the National Policy Forum (NPF) mentioned in their annual report last year that for the sake of deficit reduction, department spending until 2016 would stay the same as under the Conservatives. The report also outlines strict controls on immigration and various other policies far from Labour’s democratic socialist roots. affiliation with the trade unions. This blatant centrism cannot be overridden by membership at conference because the motions considered at conference have already gone through the NPF. There’s no guarantee successful motions will end up in the manifesto; for example, the autumn 2013 conference voted for rail renationalisation, and the only remnants of this in the 2014 NPF report and the 2015 manifesto are a stronger public option. Unfortunately, since Ed Miliband’s election as leader, he has presided over the destruction of the link between Labour and the trade unions, whose vote he was essentially elected off the back of. Thus he’s closed the door behind himself to any future prospect of a left-wing Labour leader, since the parliamentary group and membership both gave more votes to David Miliband than to any other of the (further left) candidates. All this has happened since Clause IV of the party’s constitution was amended in 1995, and in successive elections, Labour has still managed to keep its left vote on side. If Labour’s structures do not present an opportunity for the left to sway the party, yet those at the top can still convince the left vote that the party agrees with the left, there’s no reason for leadership to change tack. Ultimately, instead of following the advice of centrist politicians and ‘pragmatically’ letting your principles slip every 5 years, we need some serious system change nationally and within the Labour party. Until that happens, if it ever will, all that’s left is to vote for what you believe in. Editor’s Argument: Ché – To all of our interests, interns must be paid.